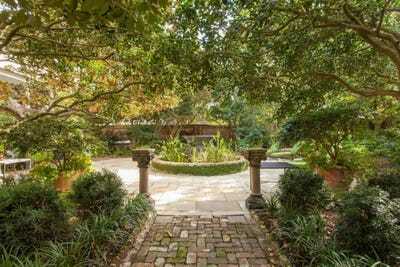 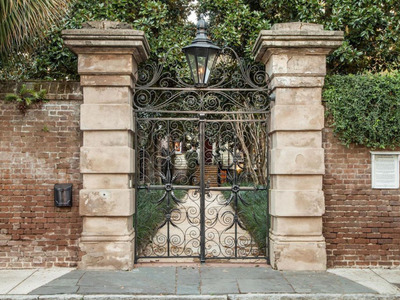 Courtesy of Handsome Properties; Wikimedia Commons; Business InsiderThe Sword Gate House in Charleston, South Carolina, boasts priceless historical value and is on the market for $US16 million. 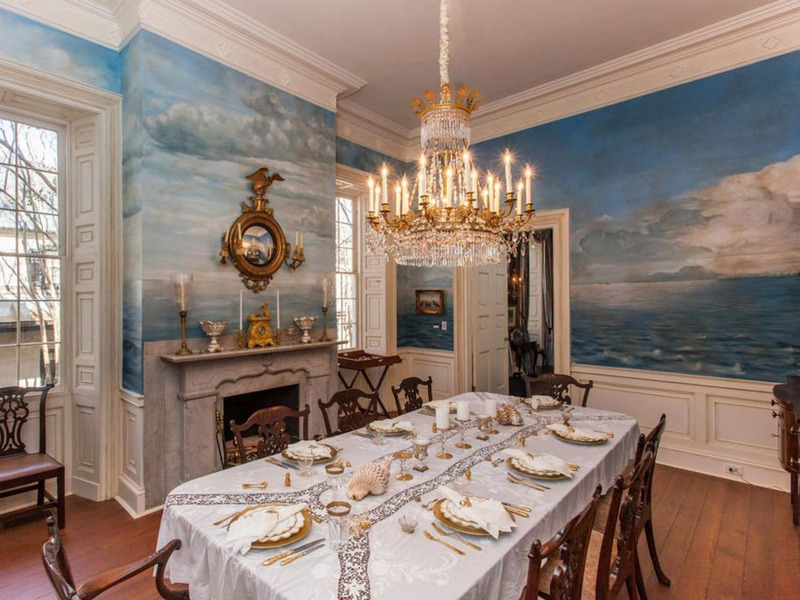 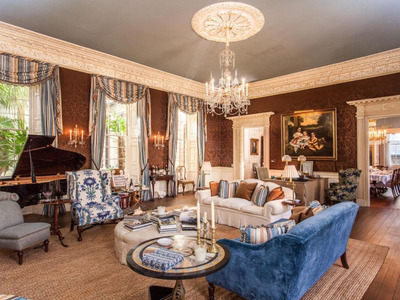 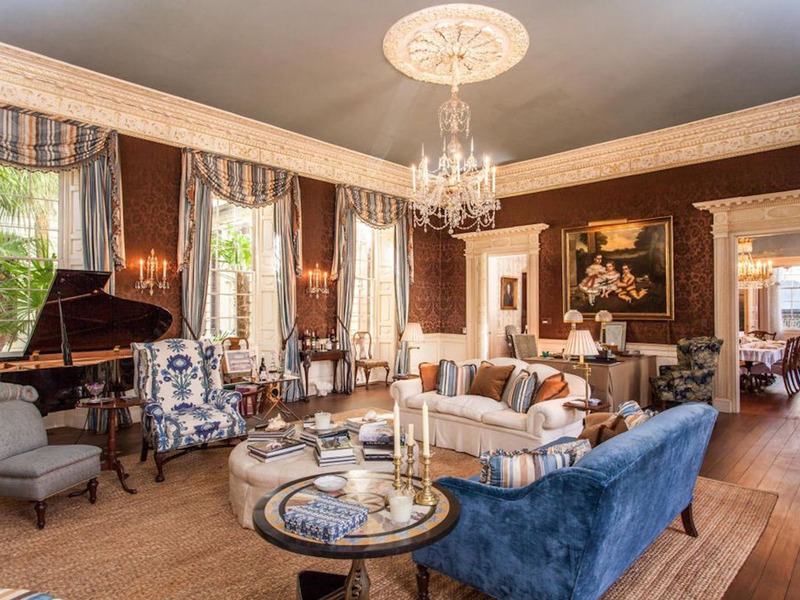 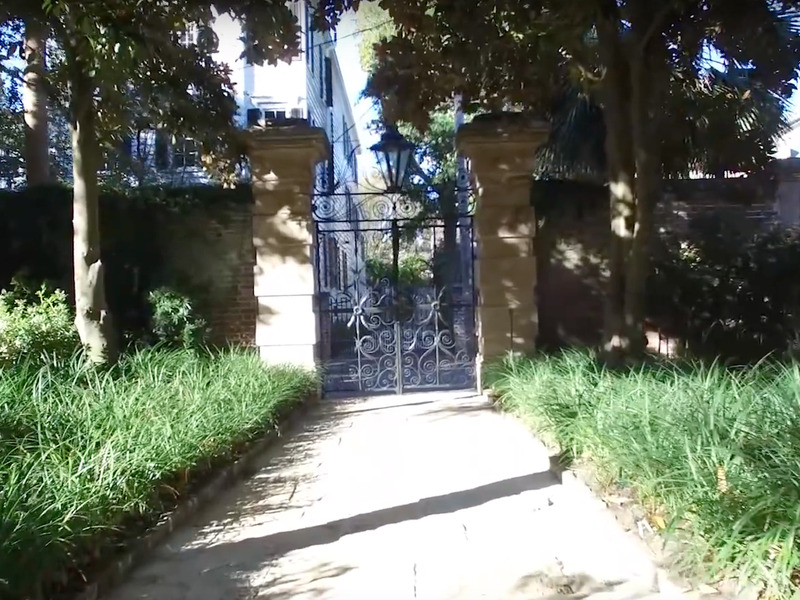 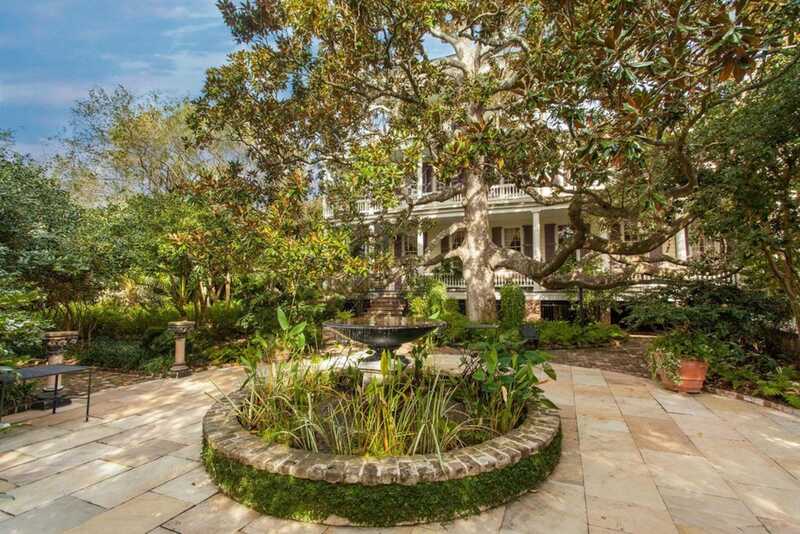 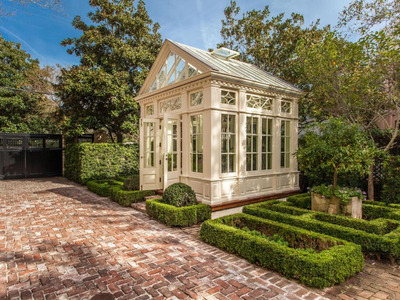 The Sword Gate House is one of the oldest and most expensive mansions in Charleston, South Carolina, with a whopping $US16 million price tag. 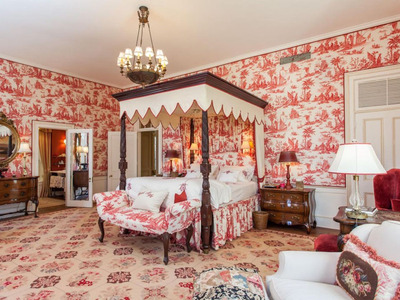 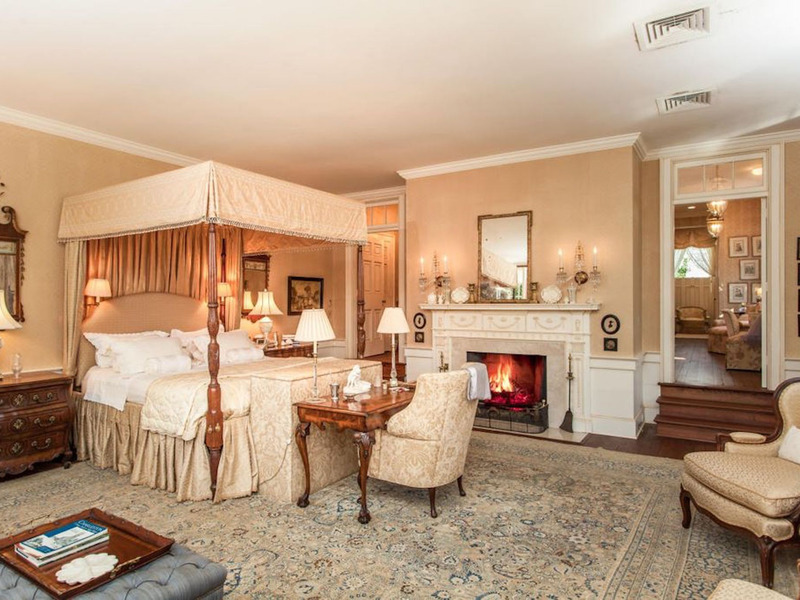 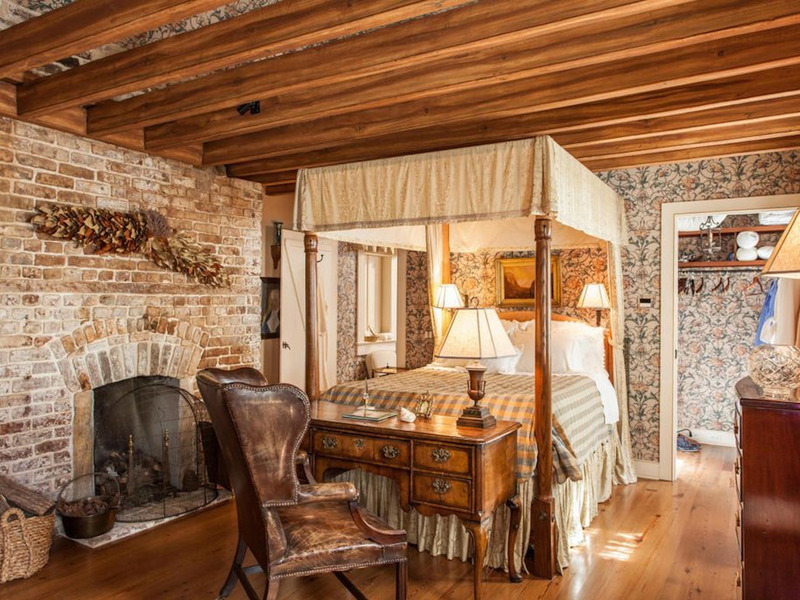 It’s more than 200 years old and has nine bedrooms and 13 fireplaces. 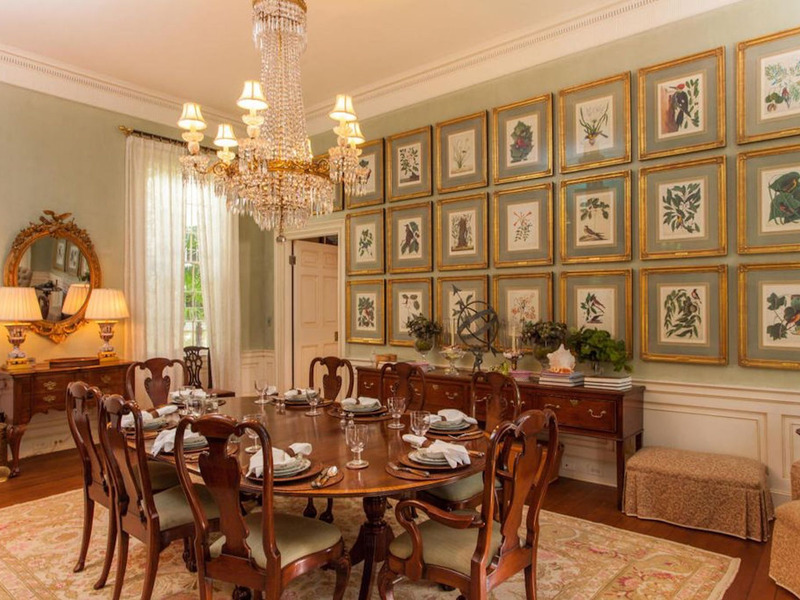 It also boasts priceless historical value -the home represents the best of Federal Era design and was owned at one point by a granddaughter of President Abraham Lincoln. 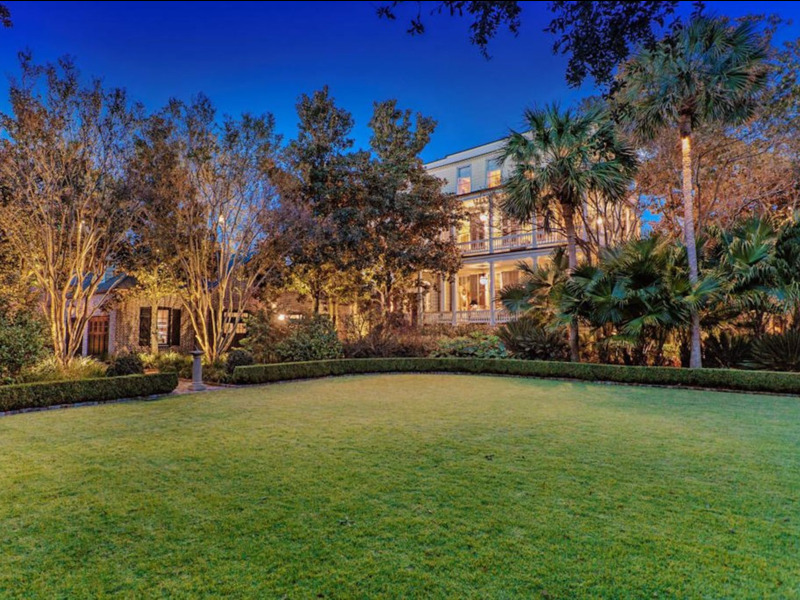 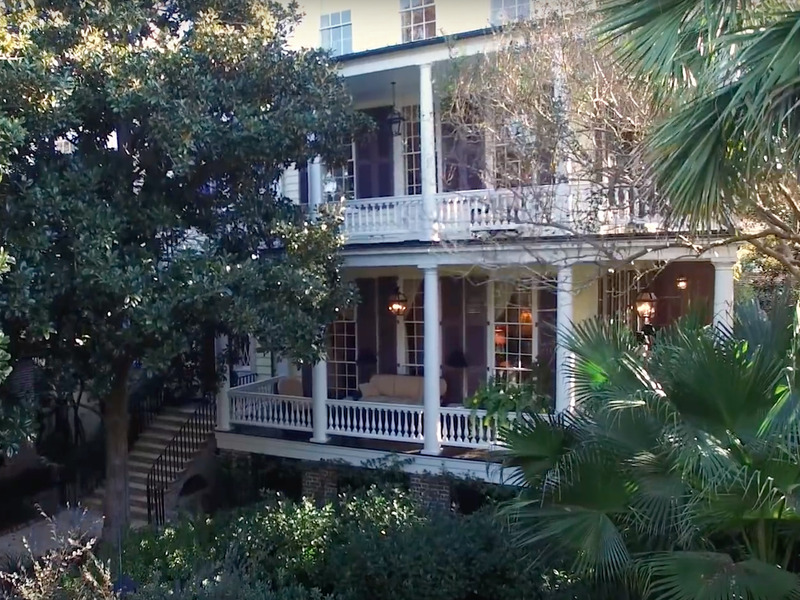 In the South Carolina city of Charleston sits a beautiful, 17,000-square-foot mansion immersed in history, luxury, and exquisite design. The home, known as The Sword Gate House, is more than 200 years old and is currently on the market for $US16 million. 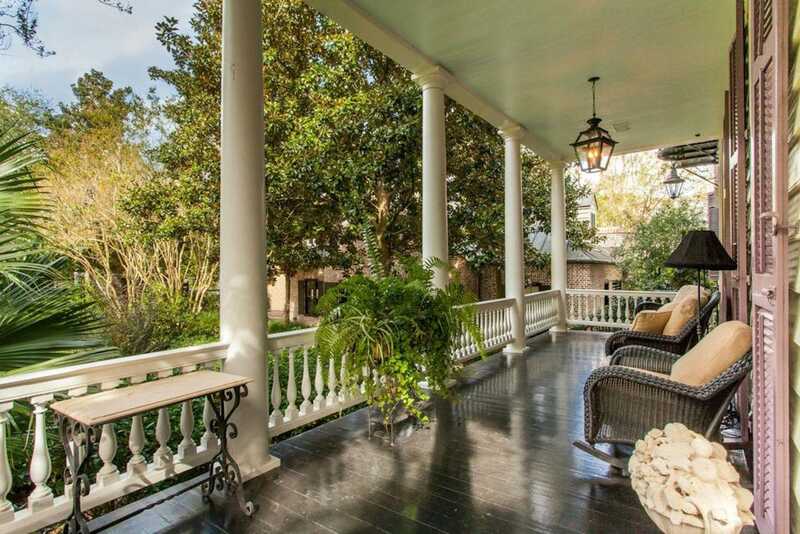 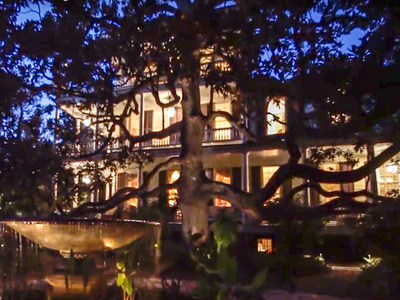 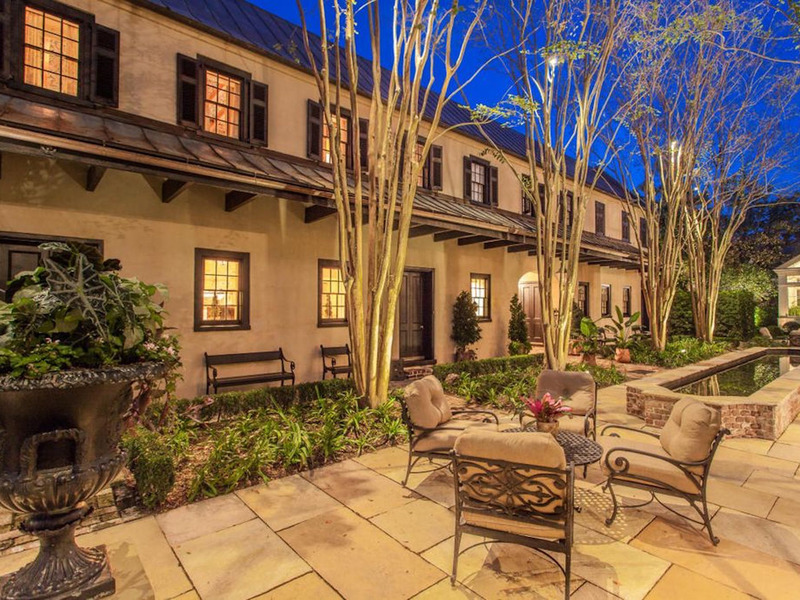 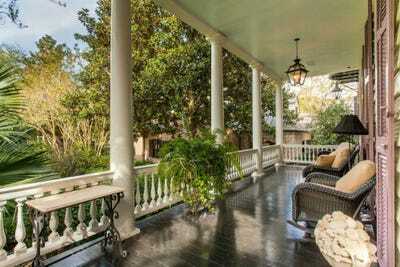 Check out the charming Southern estate. 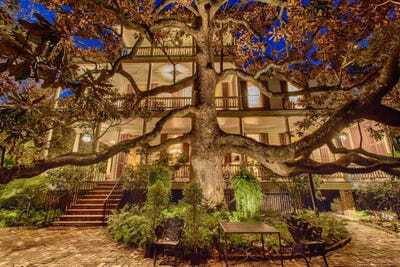 The Sword Gate House at 32 Legare St. is one of the oldest and grandest homes in Charleston, South Carolina. The asking price? 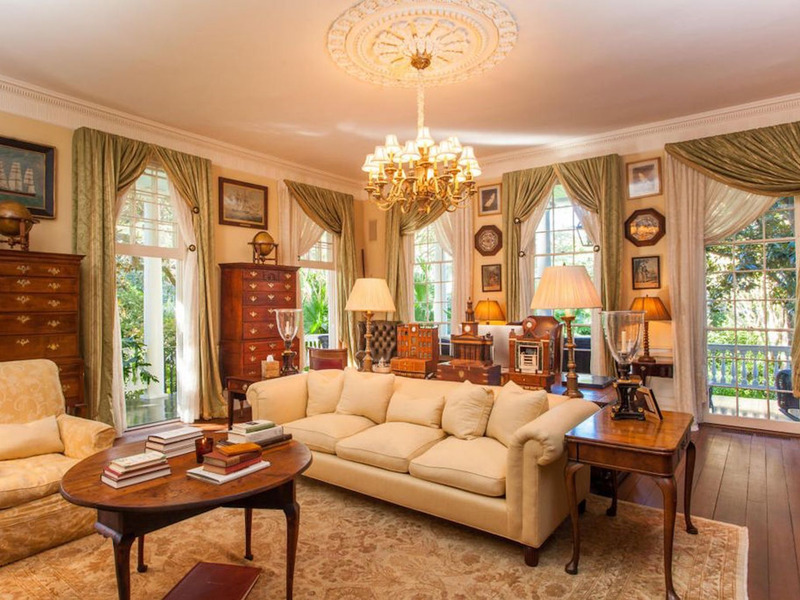 Almost $US16 million. 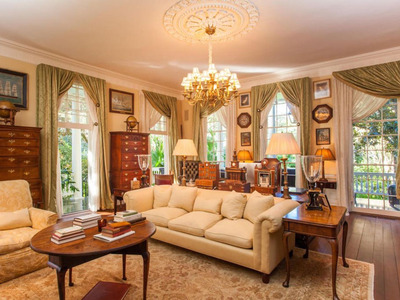 The current owners bought the Sword Gate House in 1999 and set about renovating the property. 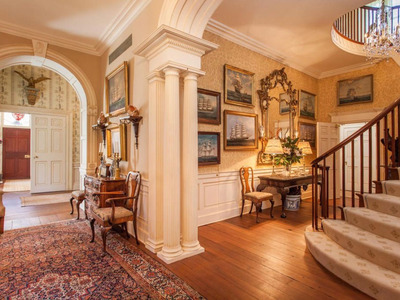 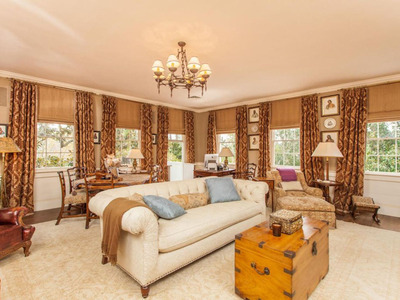 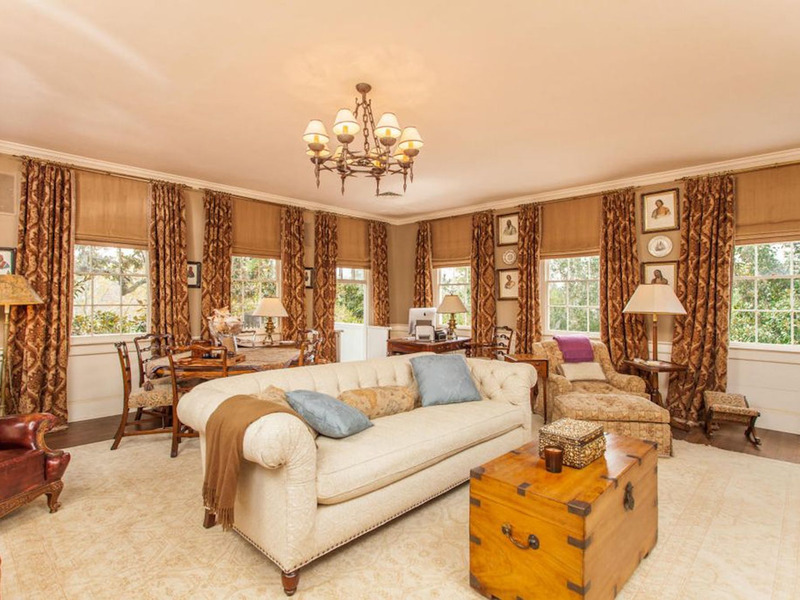 Today, the home marries sophisticated style with priceless historical value. 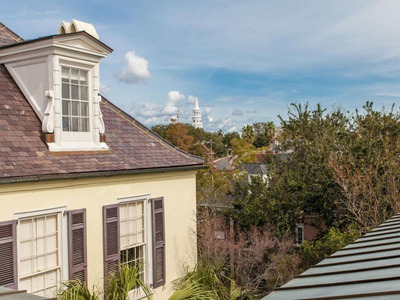 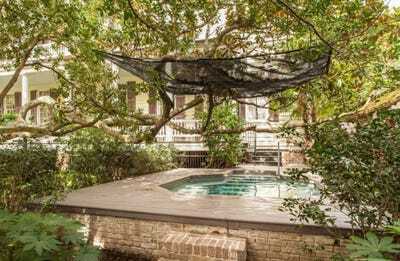 “While it’s very formal, it doesn’t feel like a museum — it feels like someone lives here,” preservation architect Glenn Keyes told Handsome Properties. 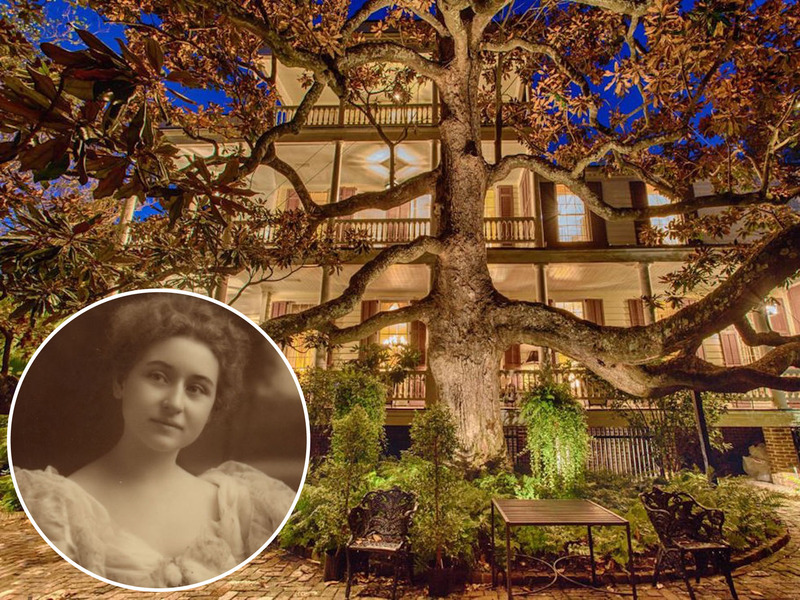 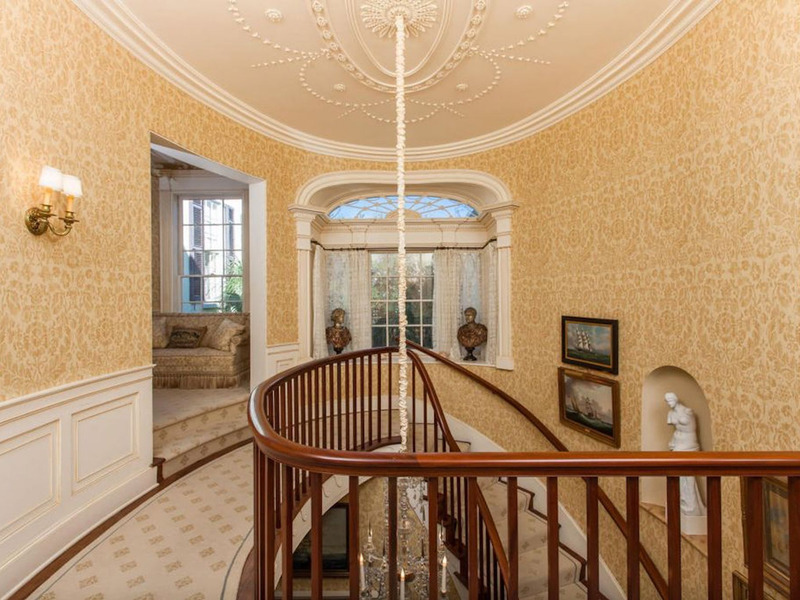 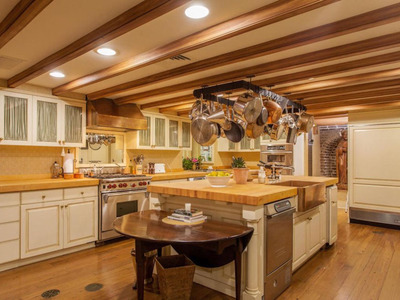 … and was once owned by a granddaughter of President Abraham Lincoln. 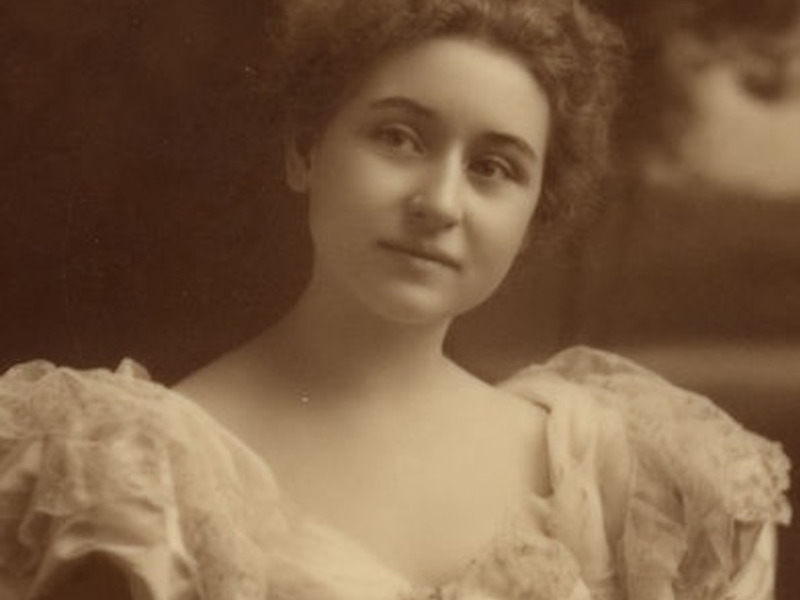 While it was intended to be a seasonal residence for Jessie Lincoln Randolph, who bought the mansion in 1930, she never ended up living in it. It’s listed on the National Register of Historic Places, according to Historic Charleston Foundation documents. 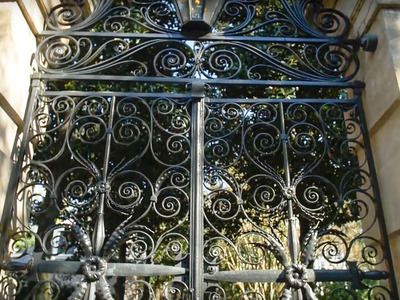 As for the estate’s name, Sword Gate House, inspiration was drawn from the sturdy wrought iron gate at its entrance. 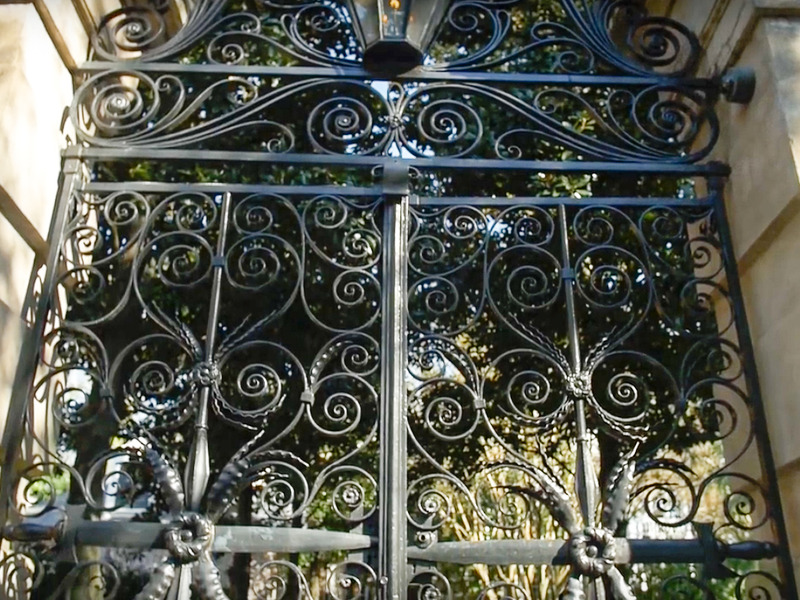 The gate was originally designed by Charles Reichardt, a German architect, and crafted by Charleston ironworker Christopher Werner in 1838 for the city’s Guard House. But it was rejected because it was too expensive, according to Historic Charleston Foundation documents. 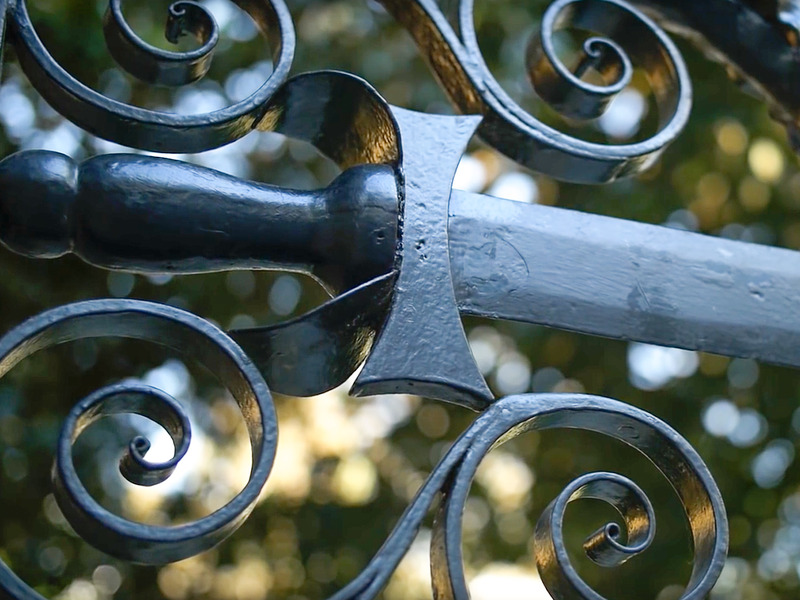 The gate was later purchased and installed in front of the Sword Gate House. 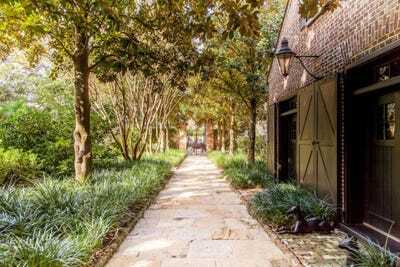 Past the gates, and the brick walls that line the entire property, is the garage. 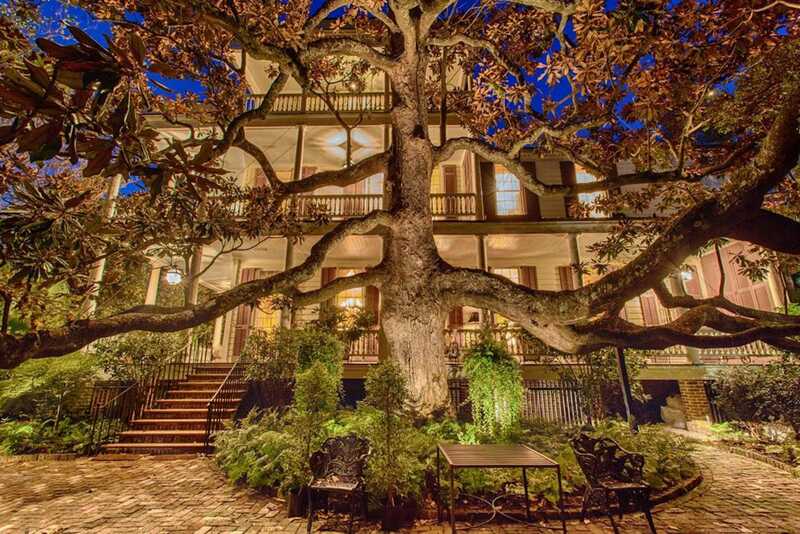 A towering Magnolia tree on the property is 180 years old. 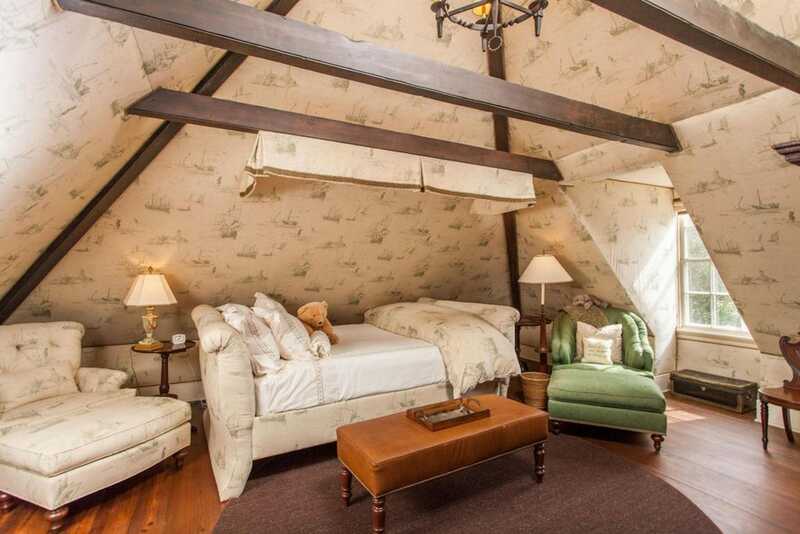 There’s also a converted carriage house with three guest suites. 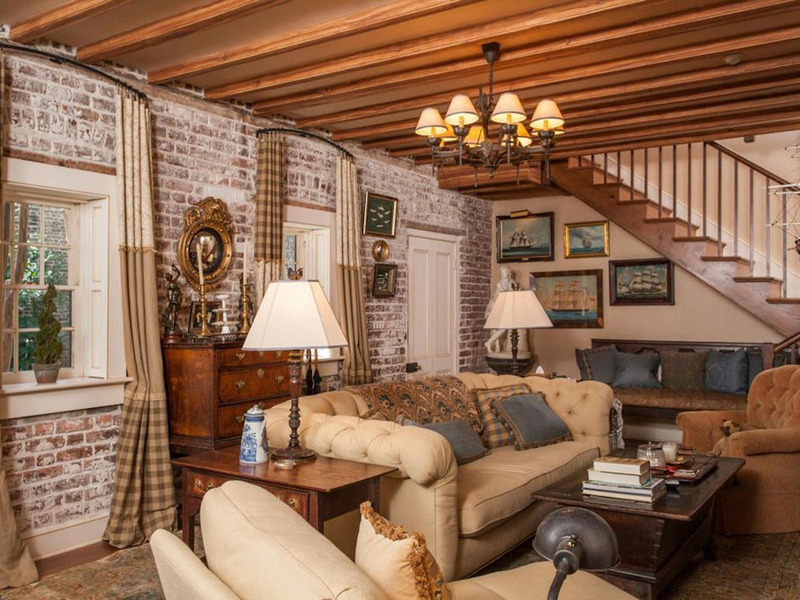 A living room inside the carriage house features brick walls and beamed ceilings. Another room features patterned wallpaper and a brick hearth. 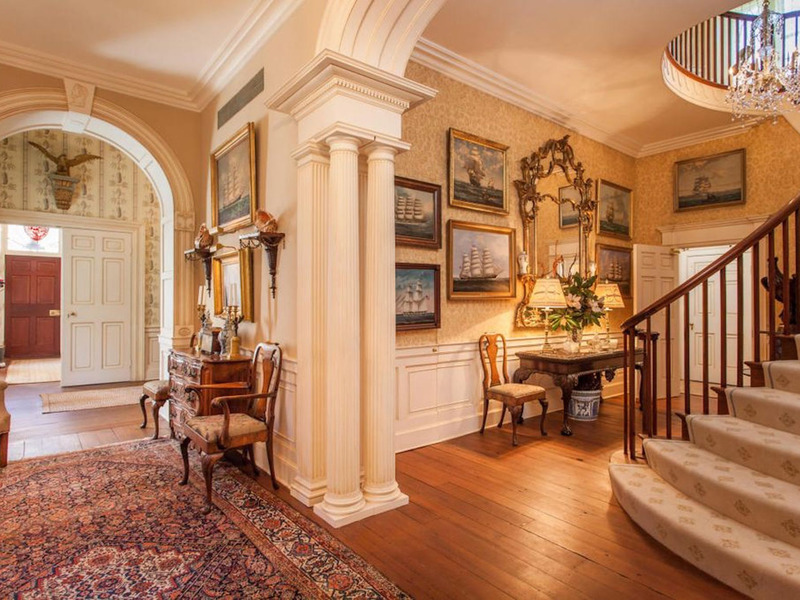 … but nothing compares to the breathtaking interior of the main residence. When the house was renovated in the early 2000s, preservation experts helped ensure that the home maintained its details from the Federal Era. 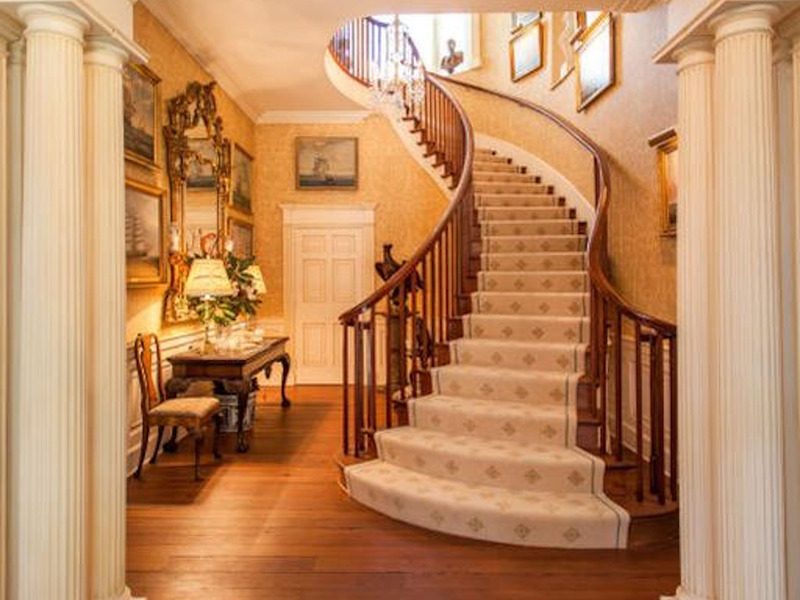 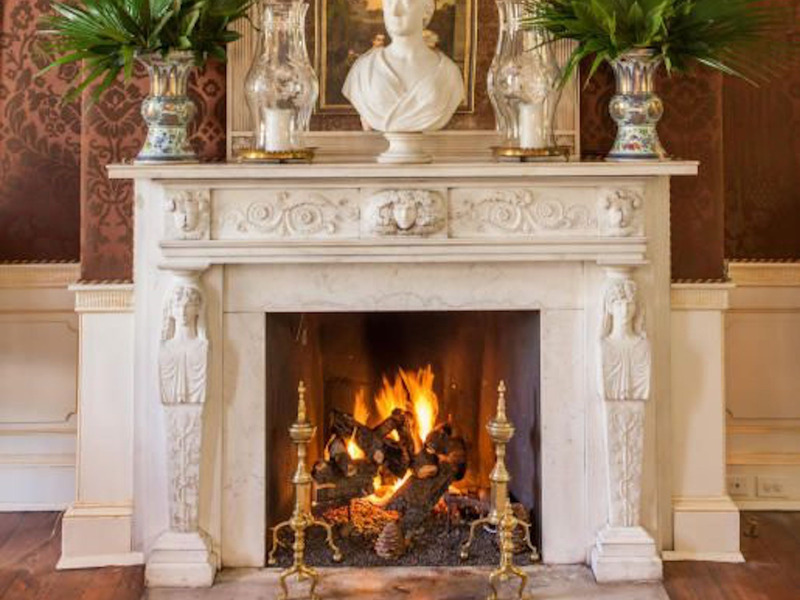 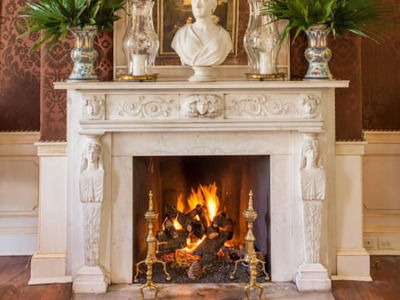 The home’s plasterwork and woodwork are prime examples of Federal Era design, Richard Marks, president of Richard Marks Restoration, told Handsome Properties. 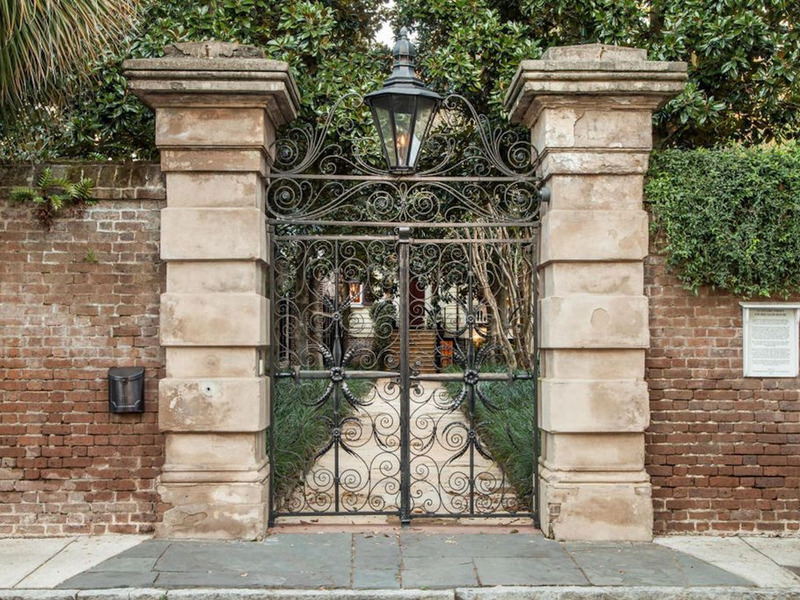 “Sword Gate really represents some of the best surviving architecture of that Federal Period in Charleston,” he said. … and multiple glittering chandeliers. … while the breakfast room is painted a pale green. 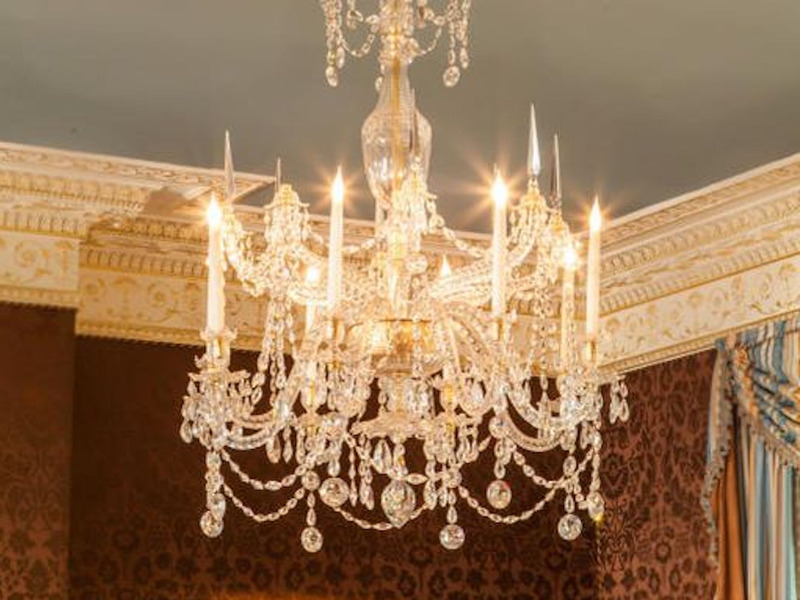 A chandelier hangs down from the upper floor. 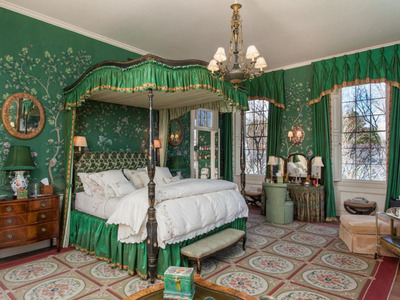 One of the manor’s nine bedrooms is decked out in a rich royal green colour palette. … and the master suite is stunning. 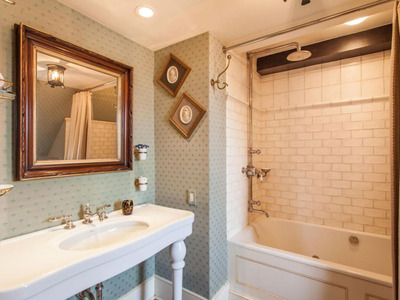 The master bathroom has a pristine freestanding tub, which was added during the home’s restoration. 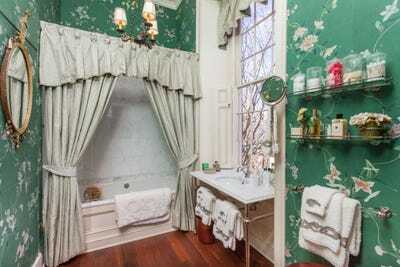 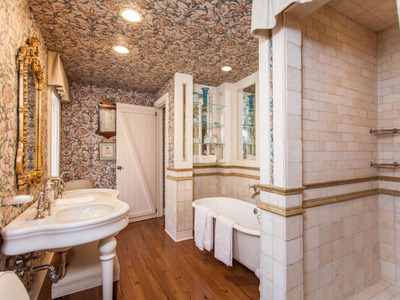 Another bathroom in the carriage house has a clawfoot tub as well as wallpaper along its walls and ceiling. 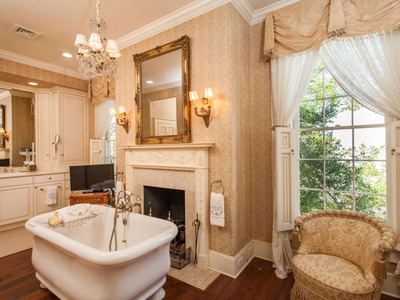 Though not every bathroom holds a unique, vintage tub — this one is more standard. Upstairs in the main house is another bedroom in the attic. 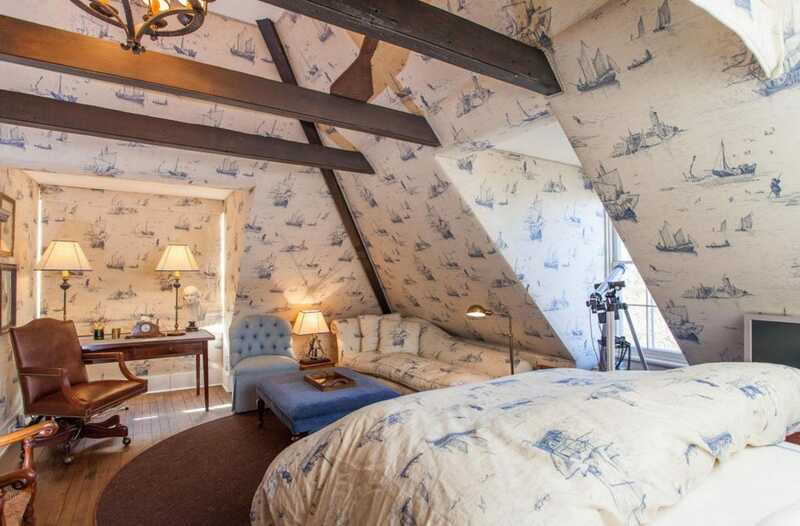 Blue and white French toile wallpaper fills the space with its nautical theme. Perhaps the most modern space is the kitchen. 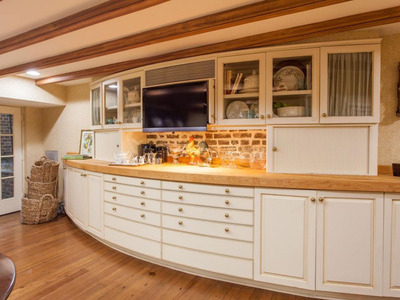 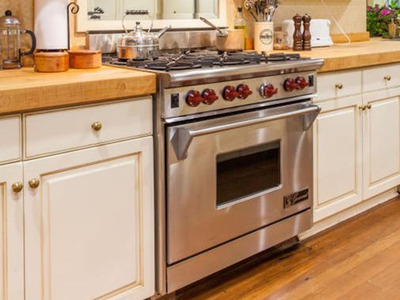 A curved counter sits feet from the island. 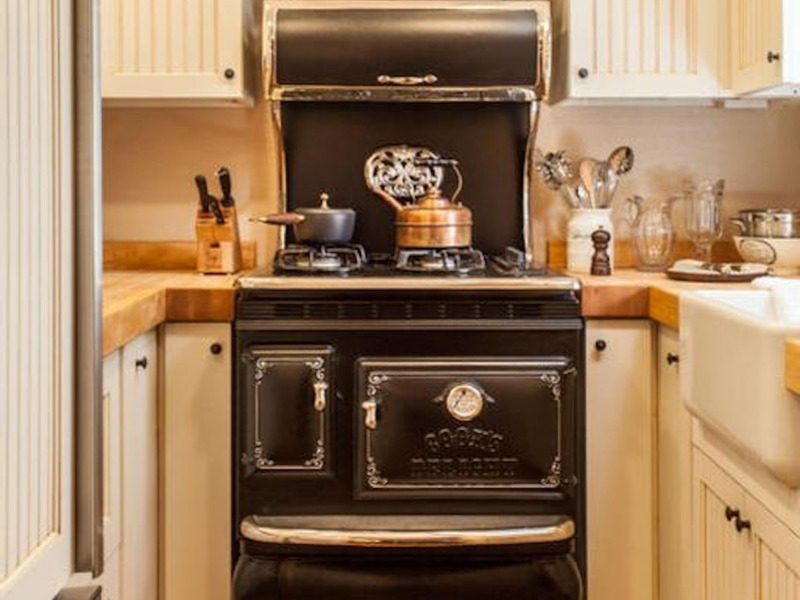 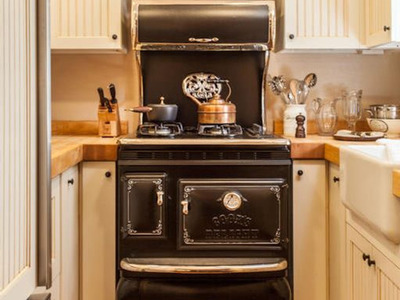 … but a touch of the Old World can still be spotted in the carriage house kitchen, where the stove is modelled after an old wood oven. 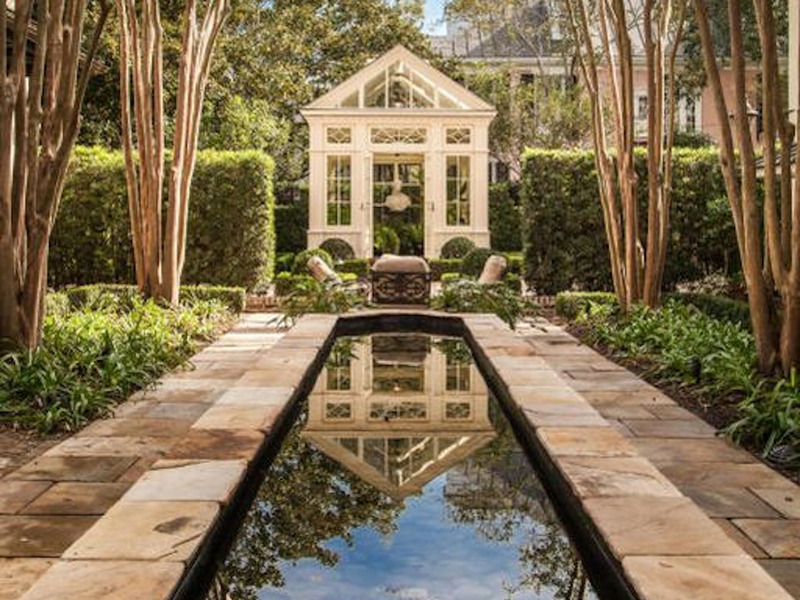 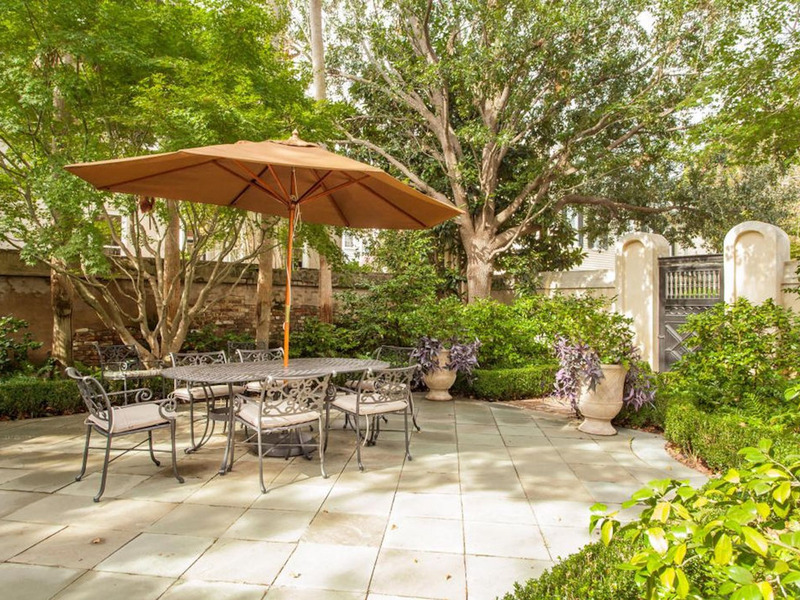 It’s nothing but luxury outside in front of the conservatory, where you’ll find a reflecting pool. … and there’s also a hot tub to help you relax and unwind.